A global payment processing company with more than $10 billion in annual revenue that enables payments around the world for more than 6 million merchant locations, thousands of card issuers, and millions of consumers. The company recently had gone through a 5 year period of rapid expansion as it acquired and merged with other companies around the globe. The single greatest challenge our client faced was that they lacked the internal resources with the proper technical skills and tools to manage intricate data input in order to drive effective, simplified multi-channel output. They were also lacking the experience and expertise required to project manage a large, multi-departmental IT project that would be required for customer communications. 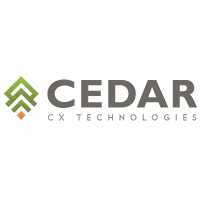 Needing to manage, manipulate, and act against a vast amount of complex legacy data, the company turned to CEDAR for a unified, modern multi-channel customer communications management solution. To support the company's communication needs, CEDAR aggregated the data from all 7 platforms and created a single, normalized standard data structure. Using historical files and other additional sources, CEDAR was able to mine data from 2.6 million PDFs in order to fill the gaps in customer data. As a result, 2.5 million statements are mined monthly for extraction analytics, and more than 1 trillion personalized rules are evaluated each month.